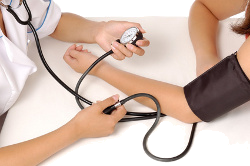 If you want to live a healthy life, you should always keep your blood pressure under control. The normal blood pressure is below 120/90. The normal blood pressure may even be lower for people who have other medical conditions such as kidney disease and diabetes. Following a healthy lifestyle is a key in maintaining a healthy blood pressure. In case you are already having issues on your blood pressure, you should look for an effective high blood pressure treatment that will work for you. These are also known as ACE inhibitors. This is a popular high blood pressure treatment. It works by blocking the production of angiotensin, a hormone that narrows blood vessels. It promotes widening of the blood vessels, thus patients can have a better blood flow. It eventually lowers blood pressure. These ACE inhibitors are often used in treating heart failure. It also works for people with kidney disease and diabetes. However, this high blood pressure treatment has some side effects such as persistent dry cough. This is also prohibited for pregnant women. These are considered newer compared to ACE inhibitors. However, these work in a different way. Angiotensin II blockers are more selection. The side effects are also minimal. These are less likely to cause cough to patients. However, this high blood pressure treatment still not allowed for the use of pregnant women. Such medicines help in reducing the number of nerve impulses that could occur in the blood vessels and heart. For alpha blockers, they work to relax the muscles in the blood vessels walls while reducing the resistance of blood flow. It promotes better blood flow. On the other hand, beta blockers work by stopping the action of noradrenaline and adrenaline in the heart. Essentially, they help reduce the force of heart contractions; thus, slowing the heartbeat. Beta blockers can also be used to prevent migraine. These are not recommended for people heart conditions or asthma. Some of the side effects include narrowing of airways and cold hands and feet. Pregnant women are normally allowed to take this high blood pressure treatment. Popular examples of such include minoxidil (Loniten) and hydralazine (Alphapress). They significantly help in lowering blood pressure. These are often used to treat patients whose systems have not responded to other high blood pressure treatment. They are often used under specialist supervision. However, these may promote headache, nausea and diarrhea. 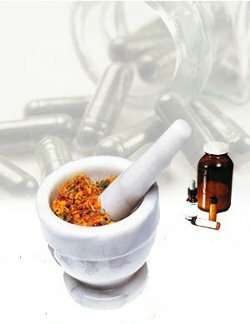 These kinds of medicines essentially work by blocking the flow of calcium to the muscles of the blood vessels and heart. They cause the blood vessels to open up eventually helping to lower blood pressure. This high blood pressure treatment is ideal for older people. Patients with asthma can also use calcium channel blockers. Patients should bear in mind the possible side effects that include swelling of the ankles, flushing and palpitations. Generally, the side effects are said to be tolerable. They work by helping the kidneys pass the accumulated water and salt. In effect, the process decreases the amount of fluid in the body so blood pressure is lowered. This high blood pressure also causes the vessels to expand, which means less pressure is put on them. Generally, there are two types of diuretics used as high blood pressure treatment. Thiazide diuretics are normally used. However, it causes excretion of excesses potassium that could be a serious problem for people with kidney problems. On the other hand, the potassium-sparing diuretics help retain potassium inside the body. Some of the side effects of diuretics include weakness, dizziness, gastrointestinal symptoms and excessive urination. According to the National Heart Foundation, thiazide diuretics should be used as a kind of first-time high blood pressure treatment for people who are 65 years old and older. This medicine should be given in small doses only. Similar to adrenergic blockers, this focuses on the nervous system. But the scope could be wider than the alpha- or beta-blockers. They essentially act on the part of the brain responsible in controlling the blood pressure. This gives way to the expansion of blood vessels, which means lowering of blood pressure. While this is considered as a very effective high blood pressure treatment, there are still a number of side effects that the patients need to bear with when they opted to be treated this way. Some of the side effects include dry mount, fatigue, headache, impotence and depression. This treatment is considered second- or third-line treatment for patients. Apparently, this requires more than one high blood pressure treatment. Actually, only less than half of hypertension patients overcome their health problem through one treatment. In many cases, a combination of treatments is needed in order to be in a stable health condition. 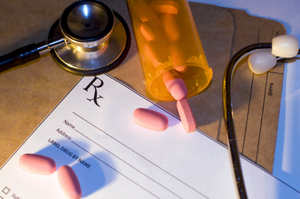 The medicines may be prescribed to be taken together as a regimen. Given this, however, the side effects could also be the combination of the medicines needed to be taken by the patients. Make sure to consult your doctor about combination of treatments. Do not ever self medicate as it will only worsen your blood pressure problem. Your individual condition is always the basis of choosing the right high blood pressure treatment or medication. The key in overcoming hypertension is following your doctor’s direction. The suggested or prescribed high blood pressure treatment will always be useless if the patient is neglecting the rules of the doctor. Some patients still wait for worse condition before following the directions given by their doctors. Hypertension should be taken seriously as it can be a fatal medical condition. Whenever you have problems with your blood pressure, you should always ask your doctor. If you think you are not comfortable about synthetic medication because of their side effects, you can always seek the advice of the doctor on alternative treatments for high blood pressure. ©2013 All rights reserved. 'Cordysen' is a registered trademark of Health Choice Limited. None of the products offered for sale on our website are intended to be used in the treatment or mitigation of any disease state. All statements made by Health Choice are intended for informational purposes only. The statements made here have not been evaluated by the government authorities of New Zealand or any other countries, and our products are not intended to diagnose, treat, cure or prevent any disease. Health decisions are much too important to be made without the advice of a health care practitioner. As with any dietary or herbal supplement, you should advise your health care practitioner of the use of this product. If you are nursing, pregnant, or considering pregnancy, you should consult your health care practitioner prior to using any health supplement product.